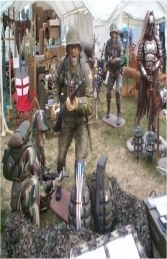 This fantastic grenade stand at 75cms tall !! That's 2 and a half feet!! 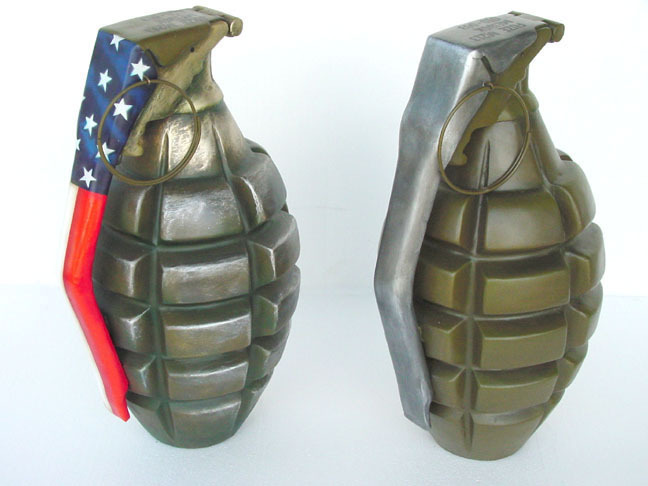 There are 3 types to choose from, one carries the Union Jack, one carries the Stars and Stripes and the third is a normal styled Grenade. 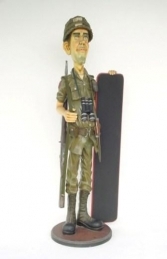 There will make great features in any Military themed area or a great accessory in a Military display. 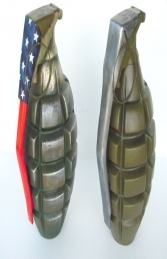 Why not team up this Grenade with the Union Jack Grenade (JR 2177-UJ) or the Stars and Stripes Grenade (JR 2177-SS).